This Inspired Self Help Tool Explains What Chakra Means! Inspired Self Help Tool Helps You To Understand Chakras! Part One - What Are Chakras? This inspired self help tool page is designed to serve as an introduction to the idea of the chakra subtle energy centers of our body. This information is not meant to be a definitive source on the idea of chakras, but rather to be a simple guide to getting started with chakras and knowing how the chakra subtle energy system may serve you. Another word for chakras is the subtle energy system of our body which controls many bodily functions. As you know, the root of everything is energy - Thought is Energy and Emotion is Energy in Motion (E-Motion) – therefore, it makes sense that the subtle energy system of our body or chakra can be manipulated through thought and emotion. If you feel any way attracted to the idea of the chakra subtle energy system of your body, then it will benefit you to at least begin to grasp the underlying meaning of the idea of the chakra energy centers and how they work, as outlined on this inspired self help tool page. When we approach any new concept from the perspective that at some level of our being we already know about it and therefore we already understand it, then we have the ability to embrace the overall idea or concept of it without needing to know all of the endless details pertaining to it. For instance: while it was discovered and now it's generally understood that water boils at a temperature of 100 °C (212 °F), we don’t need to know that detail in order to simply heat water to boiling point. In the same way, we don’t need to understand all of the details concerning how an internal combustion engine works in order to have the experience of driving a vehicle, right? By the same token, we don’t need to know about all of the endless details regarding the chakra subtle energy system of our bodies in order to utilize the overall concept in a self-empowering way. Of course, if you really need to know all of the details about chakras there are hundreds of books and websites where you can find those details. 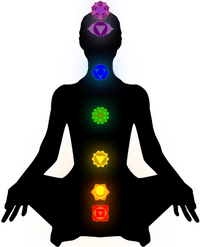 The most common definition of chakras is as seven subtle energy centers located within our physical body. Chakra is a Sanskrit word meaning a turning wheel or disk. The activity of each chakra is for receiving and transmitting life force energy within our body’s subtle energy system. Energy comes into our body through chakras and energy exits our body through vortices. Consider this analogy to assist you to grasp the idea of how energy flows within our bodies. If a faucet (chakra) is blocked then water cannot flow in. If a drain (vortices) is blocked then water cannot flow out. In the same way, if there are blockages within the in-flowing chakra or the out-flowing vortices then an imbalance will occur in our body, which might result in dis-ease of the affected area. The chakras run parallel to the spine from the root chakra at the base through to the crown chakra on the top of the head. Looking into the idea of the chakra subtle energy system will assist you to understand the role chakras play in terms of the movement of energy within your physical body. And you’ll learn how you can keep your chakras open and balanced and thus functioning in the way that nature intended them to function. 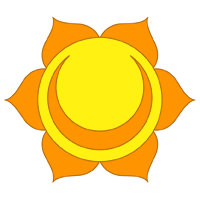 Each chakra energy center has unique attributes and characteristics. And upon examining these subtle energy centers we can determine if and where the various parts of our being are unbalanced. By identifying the imbalance, we can then pay attention to and work on the imbalanced areas with an aim to restoring the balance and harmony of our being. 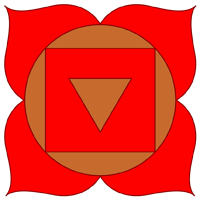 The Root Chakra governs the characteristics of: grounding, survival, self-preservation, safety, fear, stability, perception, prosperity and self-acceptance. If you feel attracted to this image or if you’re aware that you may have personal issues in areas covered by the governing characteristics associated with The Root Chakra, then you might have an energy blockage. Continue reading or scroll down this page to read Part two - Identifying and Changing Beliefs to learn more about The Root Chakra subtle energy system. The Sacral Chakra governs the characteristics of: sensuality, pleasure, sexual energy, intimacy, procreation, creativity, morality, ethics, control, sense of freedom and being open to change. If you feel attracted to this image or if you’re aware that you may have personal issues in areas covered by the governing characteristics associated with The Sacral Chakra, then you might have an energy blockage. Continue reading or scroll down this page to read Part two - Identifying and Changing Beliefs to learn more about The Sacral Chakra subtle energy system. 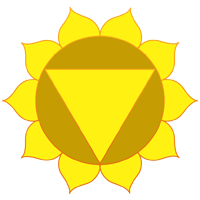 The Solar Plexus Chakra governs the characteristics of: self-image, ego, self-esteem, personal willpower, charisma, integrity, responsibility and the ability to experience without fear or the need to control. If you feel attracted to this image or if you’re aware that you may have personal issues in areas covered by the governing characteristics associated with The Solar Plexus Chakra, then you might have an energy blockage. Continue reading or scroll down this page to read Part two - Identifying and Changing Beliefs to learn more about The Solar Plexus Chakra subtle energy system. 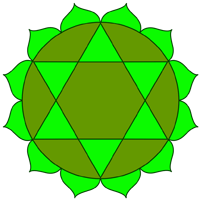 The Heart Chakra governs the characteristics of: self-love, unconditional love, healing, compassion, forgiveness, relationships, intimacy, trust and joy. If you feel attracted to this image or if you’re aware that you may have personal issues in areas covered by the governing characteristics associated with The Heart Chakra, then you might have an energy blockage. Continue reading or scroll down this page to read Part two - Identifying and Changing Beliefs to learn more about The Heart Chakra subtle energy system. 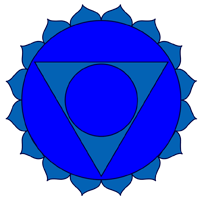 The Throat Chakra governs the characteristics of: self-expression, speech, listening, creative ideas, boldness, self-discipline, making responsible decisions and the ability to confidently speak your truth and spiritual truth. If you feel attracted to this image or if you’re aware that you may have personal issues in areas covered by the governing characteristics associated with The Throat Chakra, then you might have an energy blockage. Continue reading or scroll down this page to read Part two - Identifying and Changing Beliefs to learn more about The Throat Chakra subtle energy system. The Third Eye Chakra governs the characteristics of: rationality, intuition, insight, inspiration, imagination, visualization, psychic perception, non-attachment, equality, emotional intellect, balance and awareness of higher self. If you feel attracted to this image or if you’re aware that you may have personal issues in areas covered by the governing characteristics associated with The Third Eye Chakra, then you might have an energy blockage. Continue reading or scroll down this page to read Part two - Identifying and Changing Beliefs to learn more about The Third Eye Chakra subtle energy system. The Crown Chakra governs the characteristics of: understanding, mastery, knowledge, wisdom, intelligence, open-mindedness, inner guidance, enlightenment, spiritual connection, conscious awareness, higher consciousness, peace and bliss. If you feel attracted to this image or if you’re aware that you may have personal issues in areas covered by the governing characteristics associated with The Crown Chakra, then you might have an energy blockage. 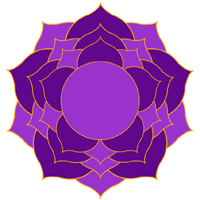 Continue reading or scroll down this page to read Part two - Identifying and Changing Beliefs to learn more about The Crown Chakra subtle energy system. That brings us to the end of part one of the body’s subtle energy system - What Are Chakras? This inspired self help tool page serves as a basic guideline to knowing that chakra energy exists. And that the subtle energy system within your body can be balanced and by doing so you will create more harmony and well-being in your life. 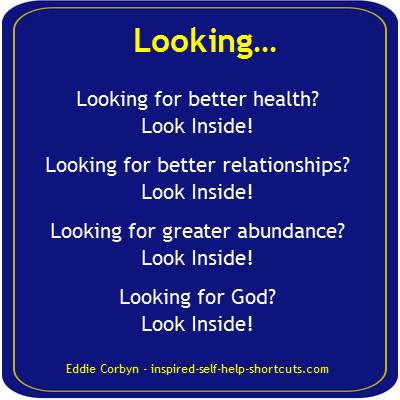 Part two - Identifying and Changing Beliefs can be found on this inspired self help tools page. Negative beliefs might be causing imbalance in the subtle energy system of your body. So this page looks into the idea of identifying which conscious and unconscious, possibly negative, beliefs you're holding that are running in the background and how to change those beliefs to better serve you.